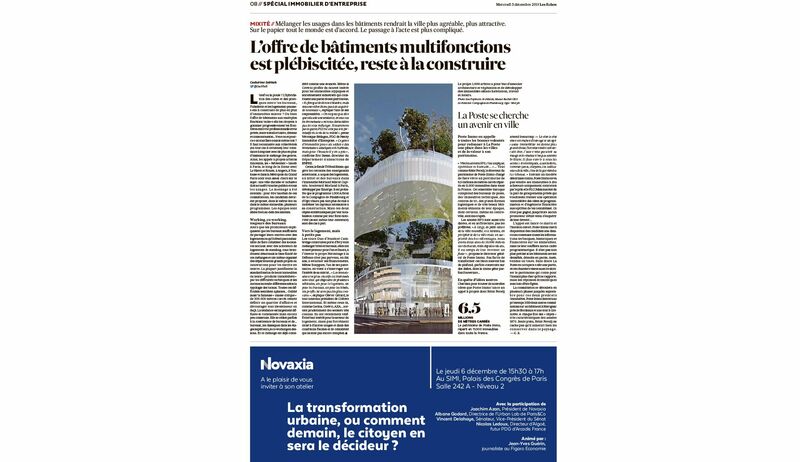 Publication - LES ECHOS : " City would be better and more pleasant with more mixed use buildings"
"The project Mille Arbres aims to combine architecture and vegetation but also to develop buildings mixing housing, work and entertainment." 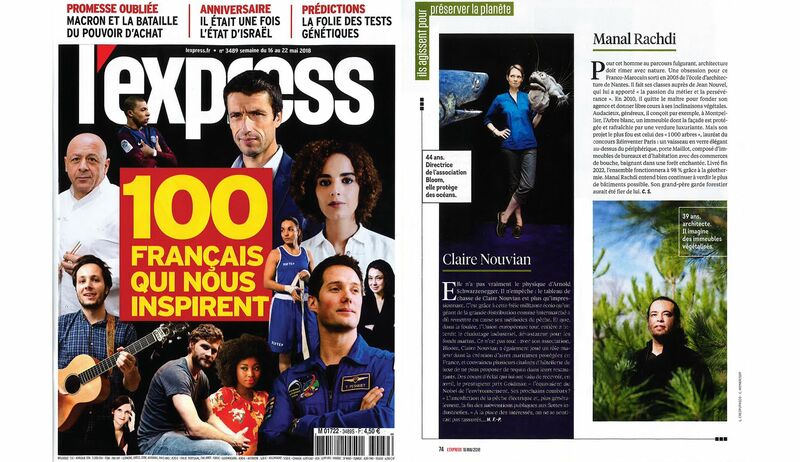 Publication - LE POINT : "The architect of the biodiversity"
Manal Rachdi : "If only trees could produce wifi, we would plant more. 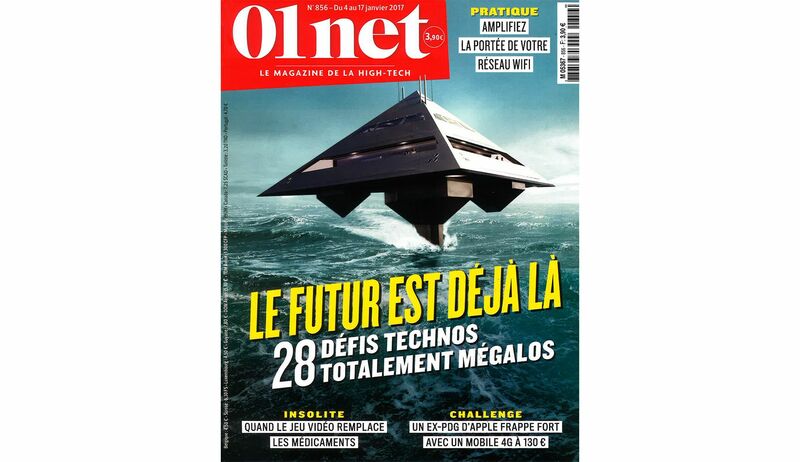 What a shame, they just give oxigen." 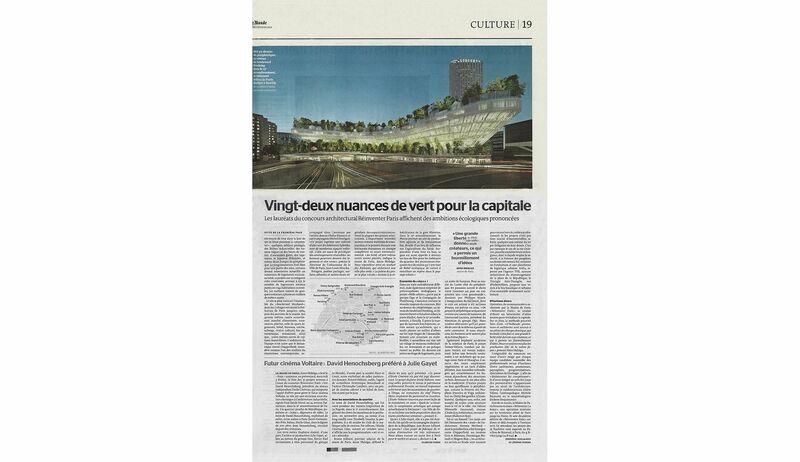 Publication - PARIS MATCH : "The vegetal lung to help Paris breathing"
Milles Arbres : "The fact that the shape naturaly follows the site and allows place on the ground is not casual." 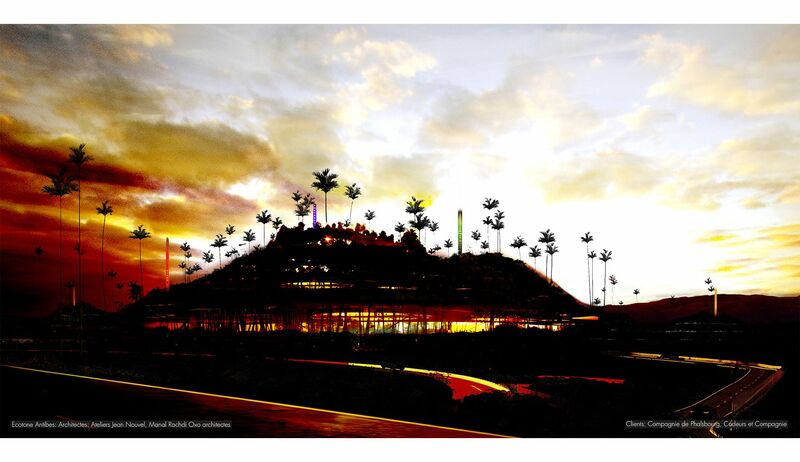 OXO Architectes, Les Ateliers Jean Nouvel and the agency Foussat Bapt are glad to announce their winning for the competition about the 3 Moulins site in Antibes with their project Econtone Antibes. 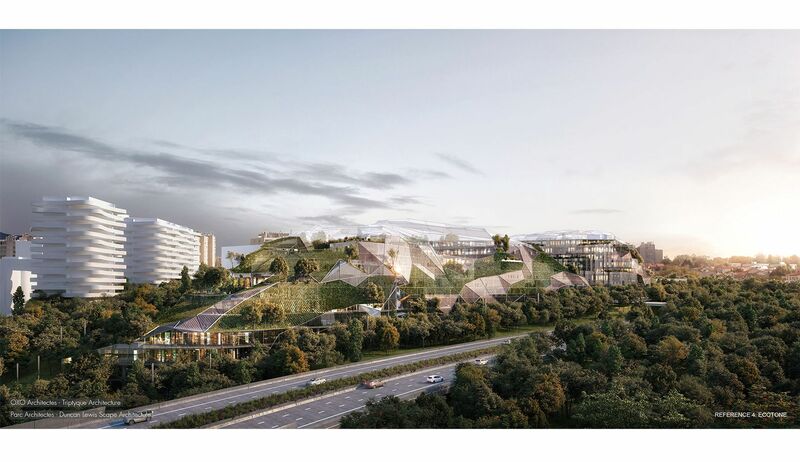 Conducted by Compagnie de Phalsbourg and Codeurs et Compagnie, the project will design the 21st century ecological campus. 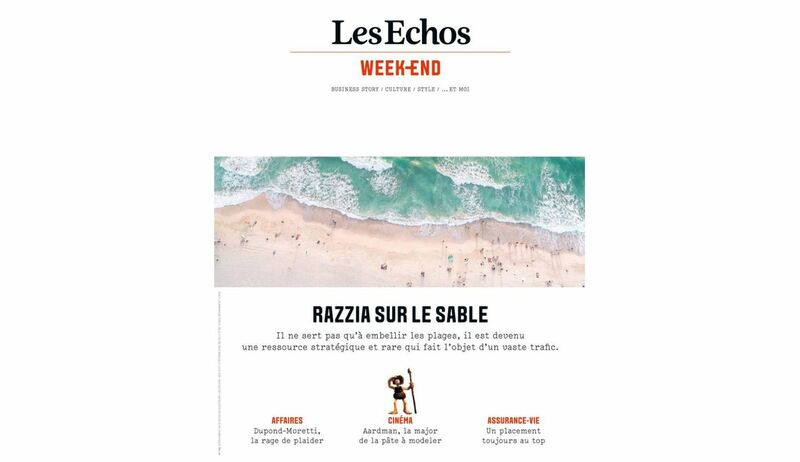 - Establishing Ecotone Antibes as the excellence incarnation of biomimicry in south of France. 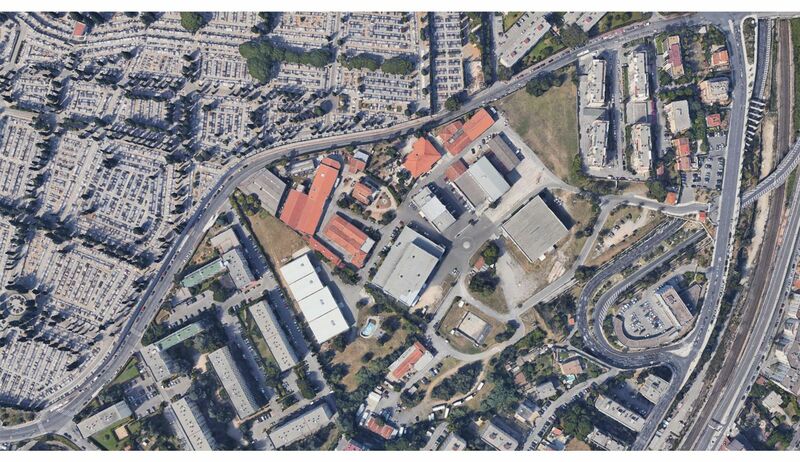 Surrounded by vegetation Ecotone Antibes will be composed of offices, hotel and services. 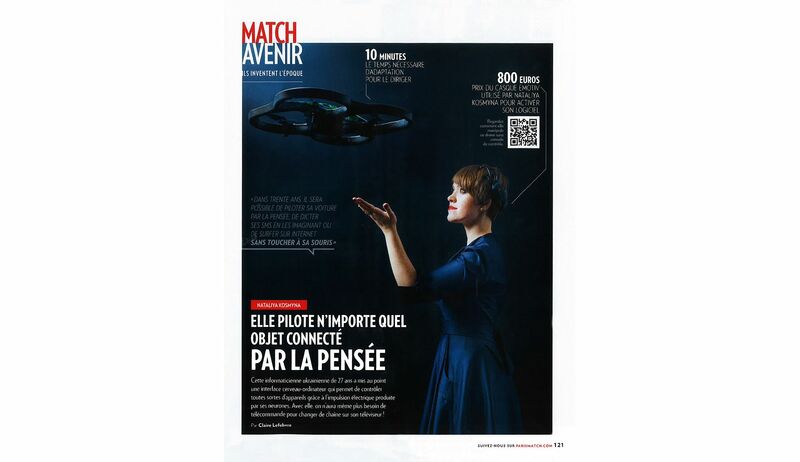 To get more information on the project come and meet us at the SIMI the 5th, 6th and 7th of December in Paris at the Palais des Congrès. 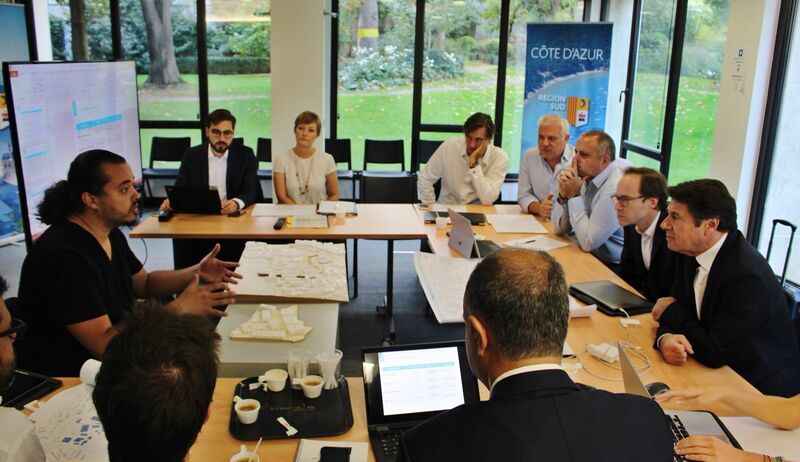 Séance de travail ce matin en présence de Mr le Maire de Nice, Christian Estrosi et le comité d'experts de la Victorine en vue de la définition du projet architectural et urbain des mythiques studios de cinéma de la Victorine à Nice. 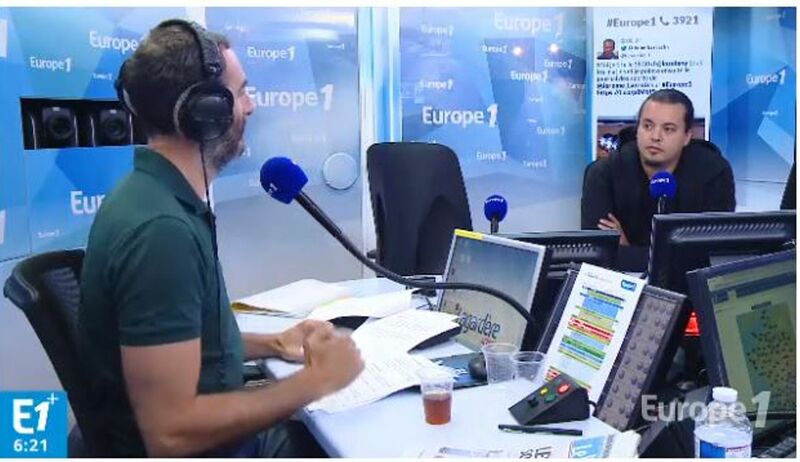 Publication - Europe 1 : "The city and transportation of tomorrow"
"More publics spaces and places for people"
Publication - VARIETY : "La Victorine, Provence Studios Ally to Form France’s Biggest Studio Hub"
Studios de la Victorine : "The South of France is already a popular destination for film and TV shoots due to the breadth and diversity of its landscapes, mild weather and lesser costs than Paris..."
Publication - BATIACTU - "When nature inspires architecture and innovation"
The project Arbre Blanc has been published on the website of Batiactu in an article about nature's influence on cities design. 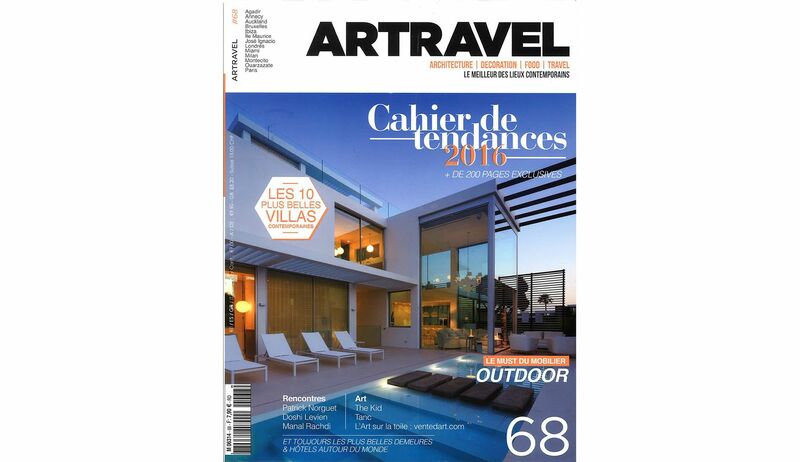 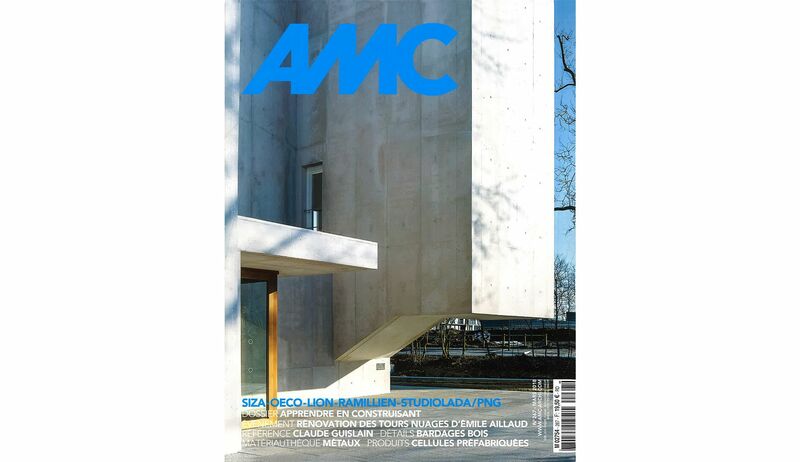 The project Arbre Blanc is part of the top 9 spectacular constructions by the magazine Capital. 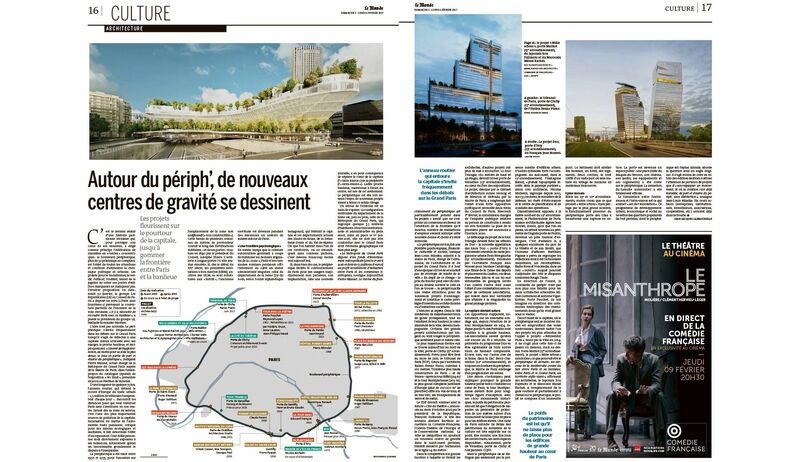 Publication - L' Express : "Welcome to the cities from the futur"
" Let's forget about museum-cities even if it is shocking "
Publication - PARIS MATCH : "Bio-insipiration all over the creation"
" It's not science but a different approach"
Publication - L' Express : "100 Inspiring French"
" The passion and the perseverance "
Publication - France 2 : "The innovation of architecture through nature inspiration"
Culturebox " [...] Nowsaday if they copy the nature it is not only for its aesthetic but also for its capacities." 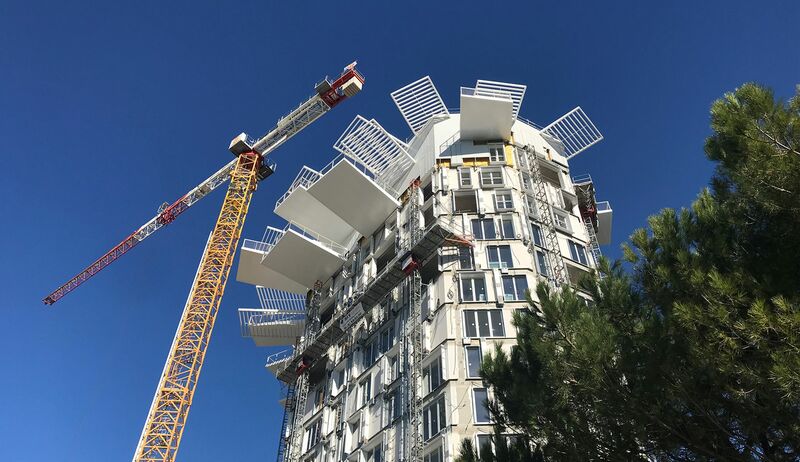 The Arbre Blanc : "Architectural craziness"
Publication - Le Moniteur : "Ecotone a natural breath inside the city"
" Ecotone works a biotope, a living landscape." 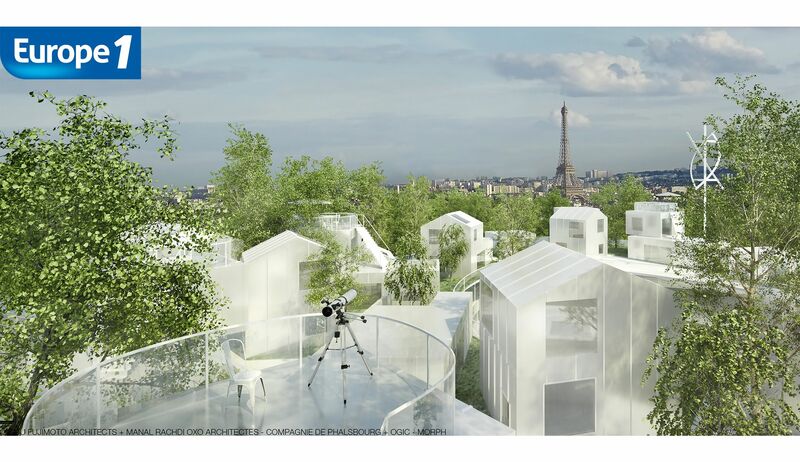 Mille Arbres : "to replace the boudary image of the parisian ring." 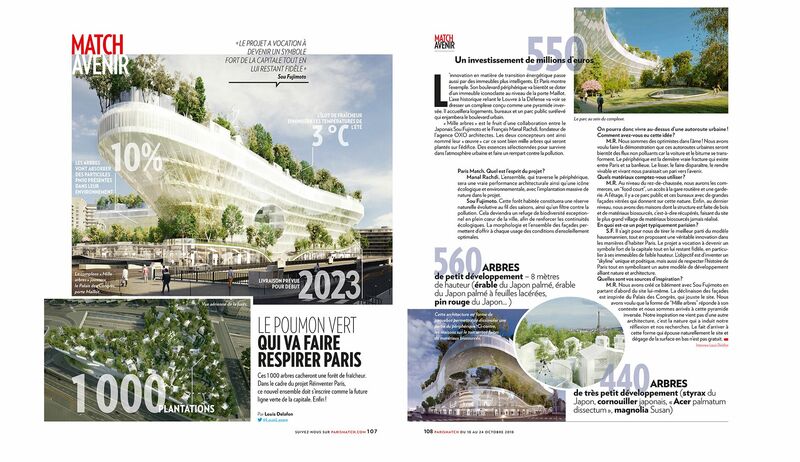 Publication - Europe 1 : " What if we'd made the city more green?" 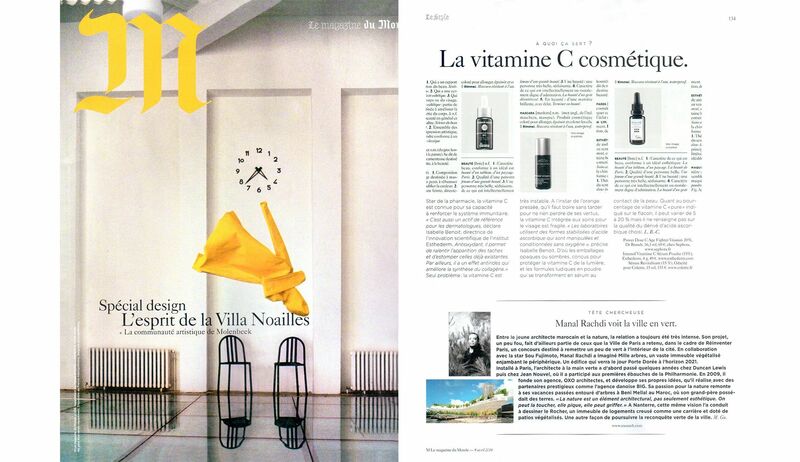 Manal Rachdi : "To create a quality lifestyle for people." 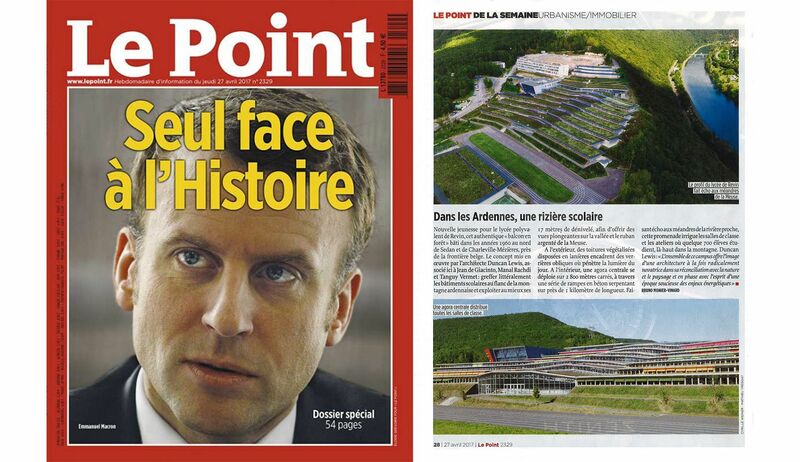 Publication - LE POINT : " In Ardennes, an educational paddy field"
Jean Moulin High School : "[...] literally grafting educational buildings to the side of mountains." 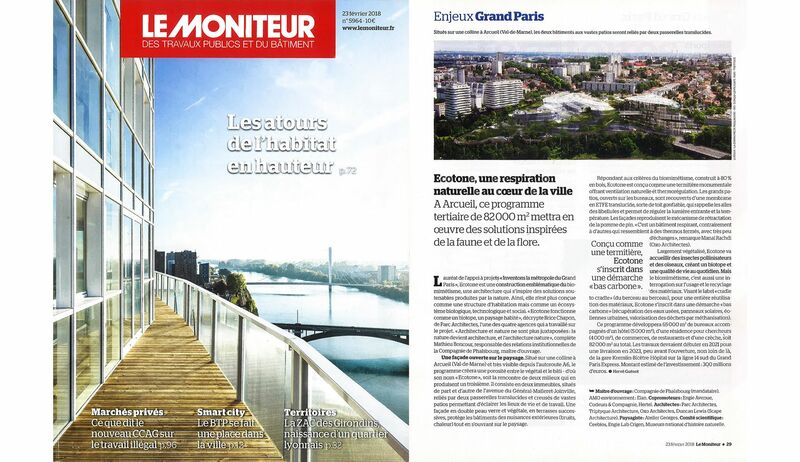 Publication - Le Monde : "Around the parisian ring, new activity centers ermerge"
"It is an absolute necessity to lind Paris to its suburb." 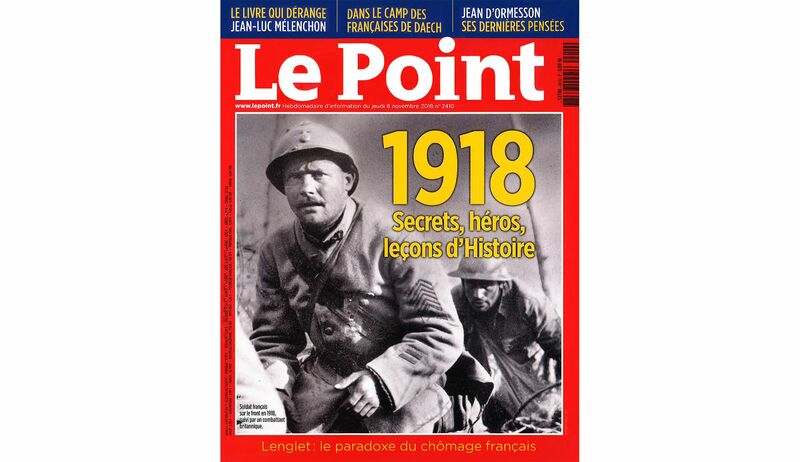 Détroit de Béring : "Bering Strait will surely be crucial in the futur." 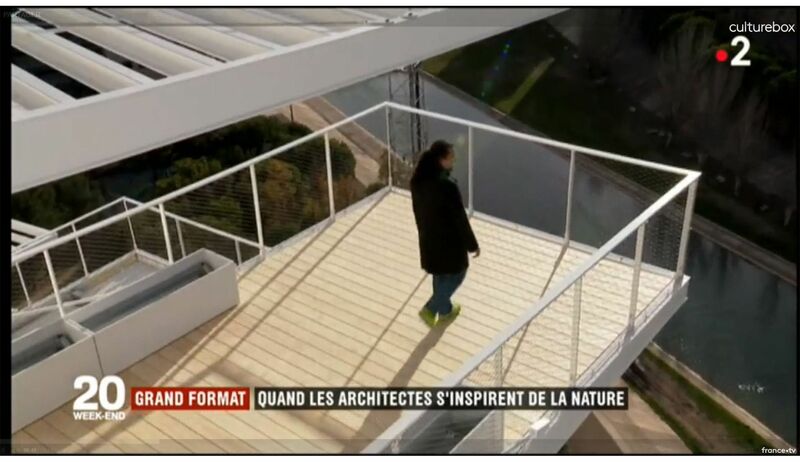 Publication - M Le Monde : " Manal Rachdi sees the city in green"
"Nature is not only an aesthetic composant but an architectural element." 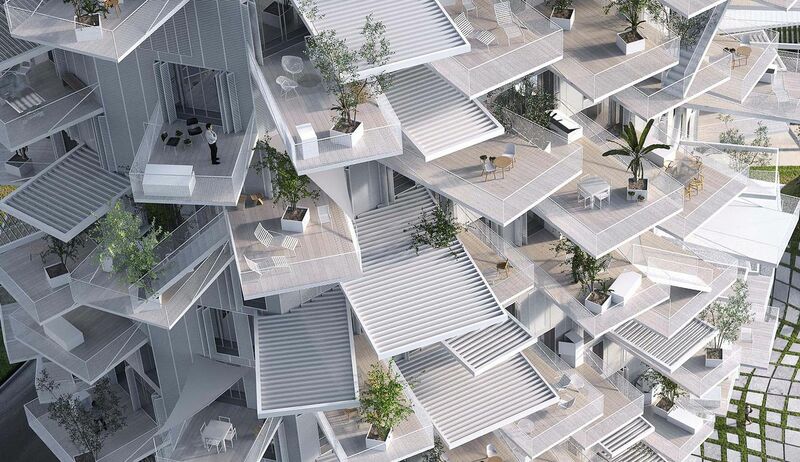 " Vertical city will be the city of tomorrow." 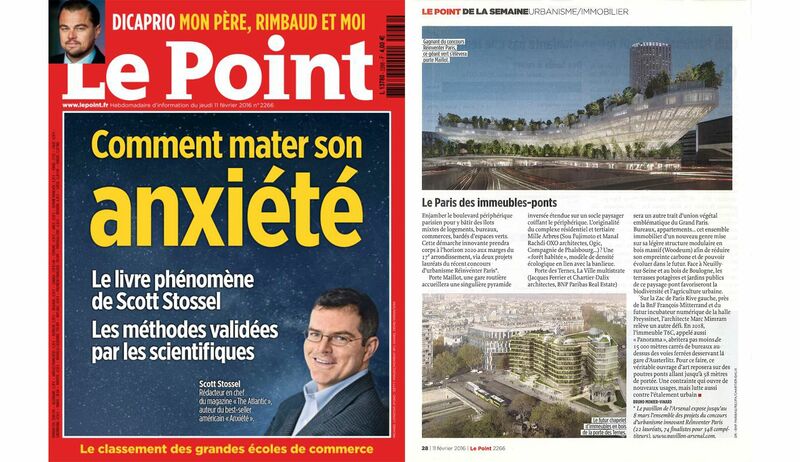 Publication - LE POINT : " The crossing buildings of Paris"
Mille Arbres : "A living forest, symbol of urban density linked to surburb." 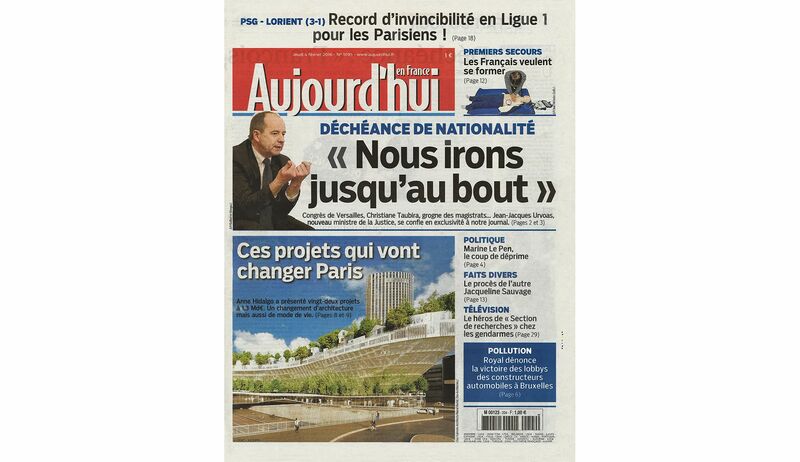 Publication - Aujourd'hui en France : "Those project wich will change the face of Paris"
Publication - Le Monde : " Twenty shades of green for the French capital"
Mille Arbres : " If we succed, the Parisians will not see the ring the same way from now." 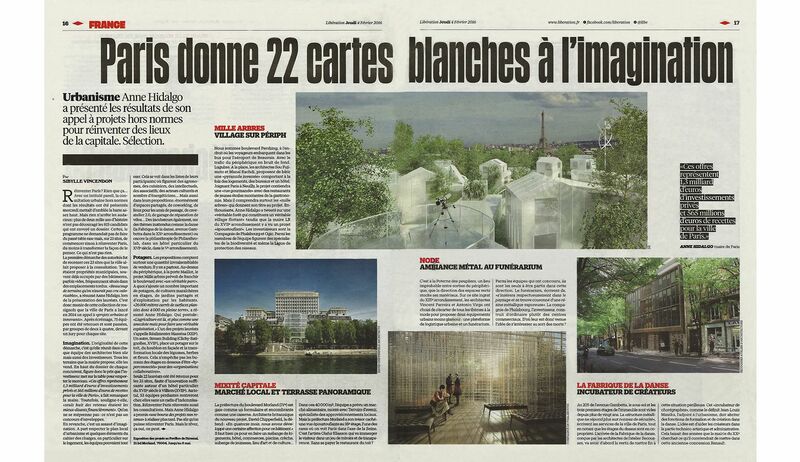 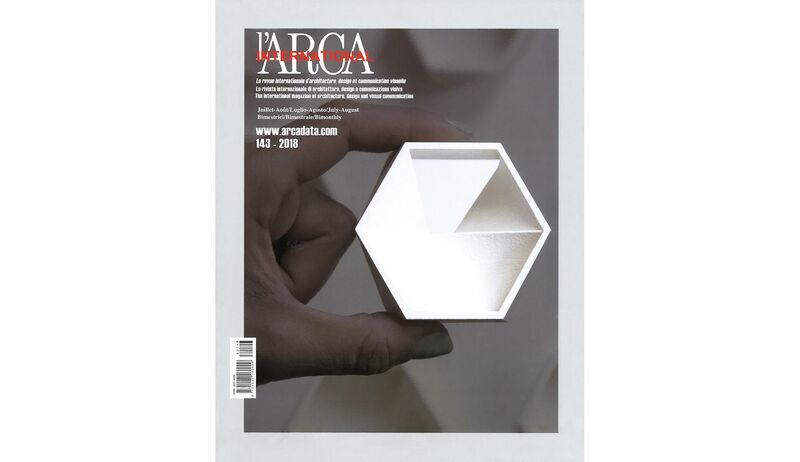 Publication - Liberation : "Paris gives 22 cartes blanches to imagination"
Mille Arbres : "A village on the ring"